Tonight, Thom Yorke was the musical guest on UK television program The Jonathan Ross Show. 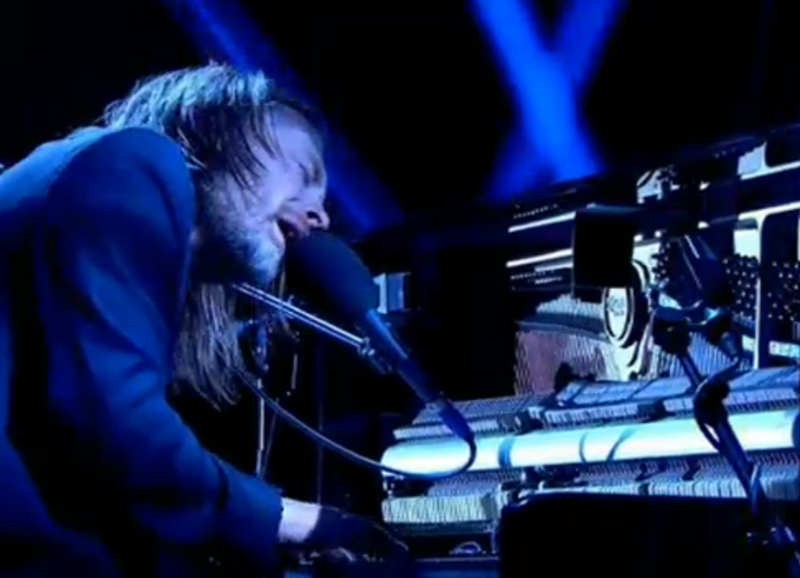 He performed solo piano versions of Radiohead’s “Karma Police”, along with “Ingenue” from Atoms For Peace’s full-length debut Amok — replay both performances below. Yorke also had us working last Saturday, when he debuted the unreleased Atoms For Peace track “Magic Beanz”.